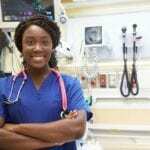 Certified nursing assistants (CNAs) work in a variety of health care settings. The work is strenuous and emotional but never dull. If you’re thinking of a career as a CNA, first consider how these committed professionals spend their workdays. A typical shift involves the execution of a wide range of responsibilities. CNAs assist patients with personal hygiene, such as bathing, brushing their teeth, showering, and dressing. Infection control measures are critical to avoid the spread of infection. This includes frequent hand washing and sanitizing of patients’ rooms. 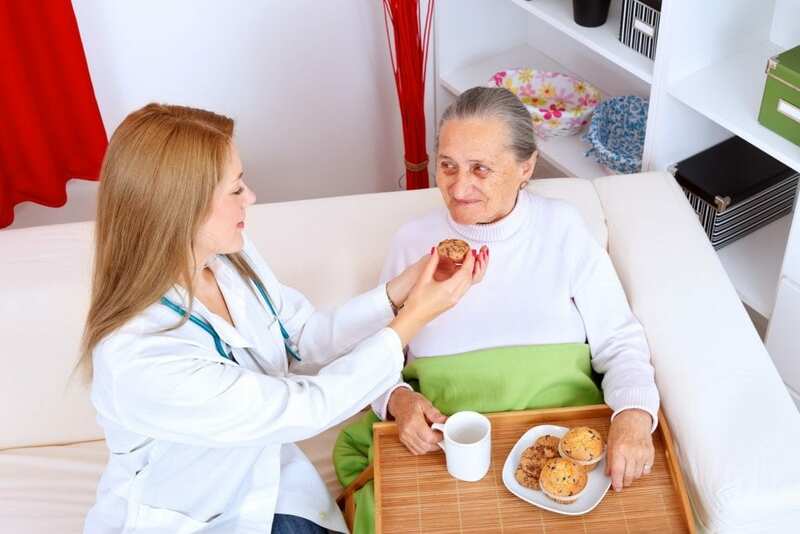 The patient-centered profession requires nurse aides to deliver food to patients, record their food and beverage intake and output, answer call lights, administer or help with treatments, move and sanitize equipment, and clean rooms. You must be physically fit as you’ll have to move incapacitated patients to reduce bedsores. Emotional stability is an essential trait, as patients often need to support, a listening ear, and the assurance that you will advocate on their behalf. Due to their close contact with patients or residents, CNAs act as the eyes and ears for doctors and nurses. The measure and record vital signs and report concerns to their supervisors. The advanced studies Certified Nursing Assistant program at Genesee Career Institute is open to second-year students high school students only. Students have the opportunity to work alongside professionals in clinical settings. They learn how to provide personal care to patients, take vital signs, and assist residents with daily living needs. Graduates will be eligible to take the State of Michigan Certified Nurse Assistant certification exam. They also earn five college credits at Mott Community College. Through collaborative agreements with organizations in Flint, STRIVE has been able to train professionals for the benefit of the health care workforce. Students receive the job readiness skills to start a career in the ever-changing health care industry. They develop the professional attitudes, behaviors, and attributes to impress employers and ensure their longevity in the health care industry. The 7.5-week nursing assistant program follows the 3-week life skills development training conducted by STRIVE. Life skills training covers patient care issues, communication, collaboration, confidentiality, and the healthcare environment. The CNA training will be conducted at Mott Community College and consists of 90 hours of theory, skills lab, and clinical training. The training is free for Renewal community Residents. The accelerated nurse aide training at Genesee Health Careers covers the 90-hour curriculum in jus three weeks. A combination of classroom, skills lab, and supervised clinical experiences equip students with the skills and competencies to provide direct patient care in acute and long-term care facilities. Graduates must take the state certification exam to practice as a Certified Nursing Assistant in Michigan. The exam is made available at GHC for students’ convenience. 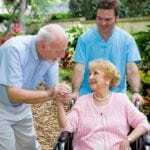 In accordance with the State of Michigan Nurse Aide Training curriculum model, students will learn the role of the nurse aide, patient hygiene, personal care, nutrition, communication and interpersonal relationships, infection control, vital signs, hospice care, ambulation, mental health and much more. Tuition costs $900. A background check, drug test, and books cost an additional $150. The total cost of attendance is $1,050. Mott Community College prepares nursing assistant students for a career as a Certified Nurse’s Assistant. The 120-hour curriculum is approved by Michigan State and covers theory and practical learning opportunities. Graduates will be eligible to sit the State Clinical and Written Competency exams to become registered as a CNA and work in hospitals and extended care facilities. Students will learn anatomy and physiology, medical terminology, nutrition, patients’ rights, patients’ independence, laws and ethics governing nurse aide practice, and the role of the nurse aide. They’ll also have opportunities to develop clinical skills through practical experiences in basic nursing, transferring patients, assisting patients with the activities of daily living, and rehabilitative and restorative treatments. Day and evening schedules are available. Day classes meet Mondays through Wednesdays from 8:30 am to 2:30 pm. Evening classes meet Mondays through Wednesdays from 3:30 pm to 8:30 pm. Tuition for the program is $1,471.50. Applicants to the program must have a high school diploma or GED. A background check and drug test will be conducted before students participate in the clinical assignment. Charter Healthcare Training Center’s nurse aide program helps students develop the skills needed to provide resident care in a long-term care facility. Graduates will have the knowledge and skills to pass the Written and Clinical Skills portion of the State certification exam to be placed on the Michigan Nurse Aide Registry. The state-approved curriculum covers an introduction to the health care profession that students can use to enroll in nursing school. The program content includes personal care, nutrition, elimination, bed-making, dementia care, death and dying, infection control, nurse aide role, resident rights, resident care, rehabilitation, mental health, developmental disabilities, and cultural diversity. CPR training and certification is also included in the program. Students acquire skills and knowledge through three core methods including lecture, lab, and clinical. Charter Health Care Training has an onsite simulation lab to prepare students with the clinical skills before transfer to an affiliated long-term care facility. Classes meet four days per week for four weeks. Classes are approximately 6 hours long. The total program covers 102 hours of theory and practical instruction.